If you have spent much of 2009 worrying about how to create a Facebook page for your company or when to open up the Twitter floodgates, you’ve probably put too much emphasis on the tools and not enough emphasis on the strategy behind those tools. In any other business initiative, you’d begin by first looking at what you want to accomplish. The same type of planning needs to be applied to social media. They’re not just tools to launch because “everyone else is doing it.” They’re tools that can effectively work for you once you have a plan in place to guide your way. Step 1: Research your audience. Who are they? Where are they online? Understand how your target audience (as defined by gender, age, and geography) uses social media. If your audience skews younger, consider Facebook and contests or sweepstakes. If your audience skews older – business executives, for example – consider ratings and reviews instead. While secondary research may help inform what general direction you should go in, there is no substitute for primary research. Surveys, focus groups and other services will give you an analysis of what your current audience is doing online. Direct observation is also imperative. Are there already Facebook fan pages and/or groups talking about your industry or brand? Who are the key bloggers writing about your topic area? Listening to what is already going on is an essential first step in developing a social media strategy. Step 2: What type of relationship, if any, do you already have with your audience? Are they aware of your brand? Are they loyal customers and brand enthusiasts or have they really only made a transaction or two with you? Pick one side of the scale and stick with it. Social media is not about reaching a mass audience. Instead, it is about reaching the influencers, developing relationships, having a conversation, and getting insights. Step 3: What is your objective? Are you launching a tool to communicate with your customers? Are you trying to incite them to talk about your company with others? Is this an awareness initiative where you’re increasing your visibility and are actively interacting on many different levels? Are you trying to get your audience to generate content that you can then use in product development? Is this an effort to improve your reputation and manage communications? It is very important to decide on the objective before you decide on the technology to be used. Step 4: Content, content, content. Start with your pitch. What is it? Describe what your company does in 120 characters or less. Better yet, define it in one word. Volvo = Safety, for example. Develop an editorial calendar and allocate resources to implement it. Do you have the capacity internally to handle the workload or do you need to hire an external resource to do the work? And keep in mind, social media that exists and is generated in a silo is never a good idea. It needs to be owned by the entire organization. The person/people put in charge of the content should be comfortable with the tools and be passionate about your organization. Step 5: How are you going to humanize your company? Social media is about people and conversations. It’s not about logos and corporate-speak. How will you get down to that level online? Transparency and honesty are key. 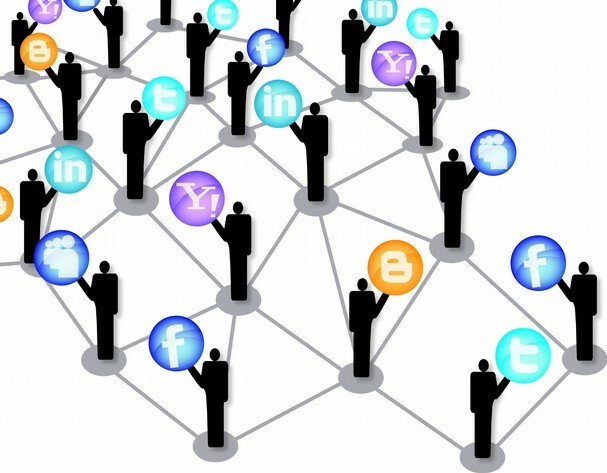 Will you allow employees to engage in the social media efforts? How will you deal with negative comments to turn them into positive situations? All of these items need to be considered before launching a program. Step 6: How will you measure success? Determine your key metrics before you get started. Pick the right metrics that will help you track your objectives. Look at trend movements and changes over time, not just numbers. It is also important not to look at a single metric, but rather to evaluate your strategy performance from multiple dimensions. Once all of these factors are carefully considered, you’ll be able to pick the right tools and social media tactics. Start small. Be willing to make mistakes and learn from them. Modify, evaluate, and grow.